Tired of the same old party ideas? Need a change of scenery? Make your next overnight party a guaranteed success. Come to Gearworks Family Fun Center, the Ultimate Laser Adventure! We offer an exciting, interactive environment for kids and adults alike. 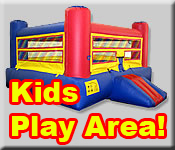 The Gearworks Family Fun Center is ideal for groups of up to 200 participants. It's a SAFE and FUN place for an overnight adventure where players experience high-tech, futuristic fun in a supervised, secure area. The involving gameplay captures the imagination while fostering a sense of teamwork and unity. There is nothing else quite like it. There's no comparison between the coolness of Gearworks Family Fun Center and the "same old" lock-in party. FOR LOADS OF FUN AND A UNIQUE PARTY EXPERIENCE, COME TO GEARWORKS FAMILY FUN CENTER - THE HOTTEST PARTY SPOT IN TOWN! Feel free to call us with ANY questions relating to Overnight Parties, Gearworks Family Fun Center in Nags Head, NC, or anything else we can help you with!